Previously named the Fitzgerald, the D Hotel in Las Vegas wanted its guests to discover the hotel-casino in a surprising way. Using one of the largest screens in the world, we created a video wall that invites patrons into the premises. 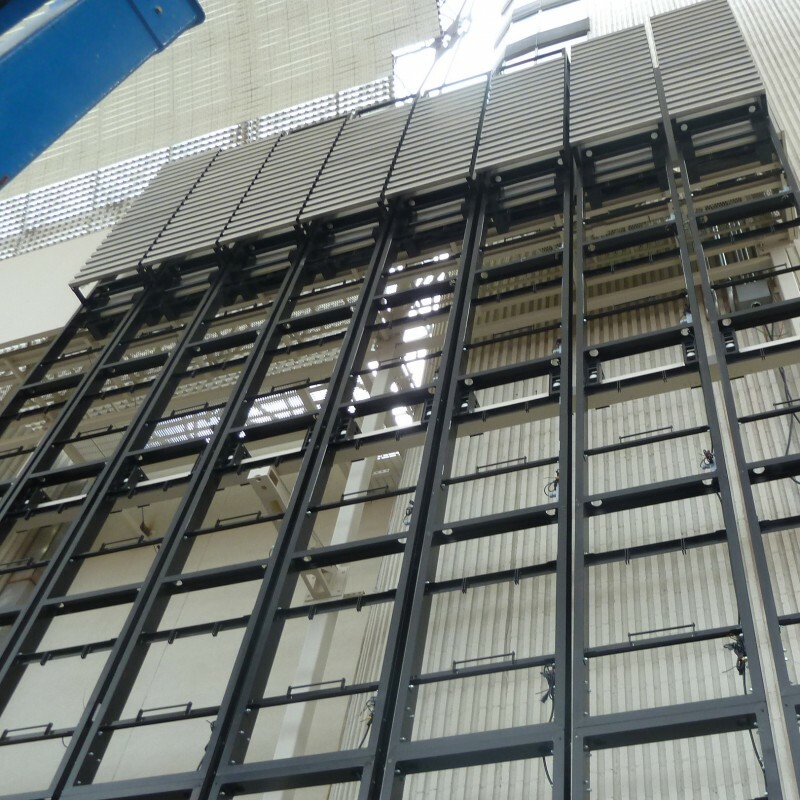 The wall is comprised of a mechanical header that allows the columns supporting the video screens to be brought together or separated through the use of programming. The mechanical movement is controlled through scissor-like structures that function with a cable and pulley system. It’s simple, yet effective. The last column on the right is fixed and all the others are deployed in a proportional manner. The structures are made of steel and aluminum and finished with marine paint adapted to the Las Vegas climate. The steel structure supports the screens and is resistant to extreme weather conditions. 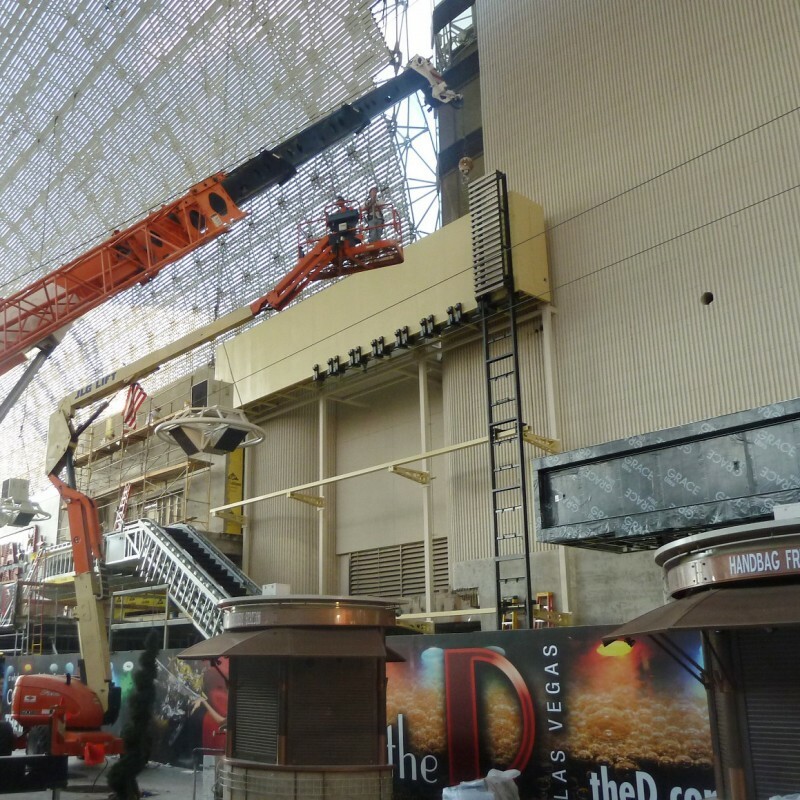 Assembling the night structures under the dome of Fremont Street.